Built with Intel Optane technology, a revolutionary class of non-volatile memory, the Intel Optane SSD 905P series delivers ridiculously fast read/write speed coupled with ultra-low latency and industry-leading endurance. It's designed to address the most demanding workloads in client systems, and empower professional users, content creators and enthusiasts to extract greater platform performance. The 905P is based on NVMe PCI 3.0 x4 host interface, and available in two form factors - HHHL add-in card with LED light (960GB model), and 2.5" U.2 with heatsink on housing (480GB). It provides exceptional random storage performance of up to 575K/550K IOPs (4K random reads/writes), and is complemented with low latency of less than 10µs.1 These key capabilities make the SSD 905P series a highly responsive client storage solution. The SSD 905P also enables software developers to optimize applications to take advantage of the unique attributes of Intel Optane technology: low latency, and high throughput at low queue depth. 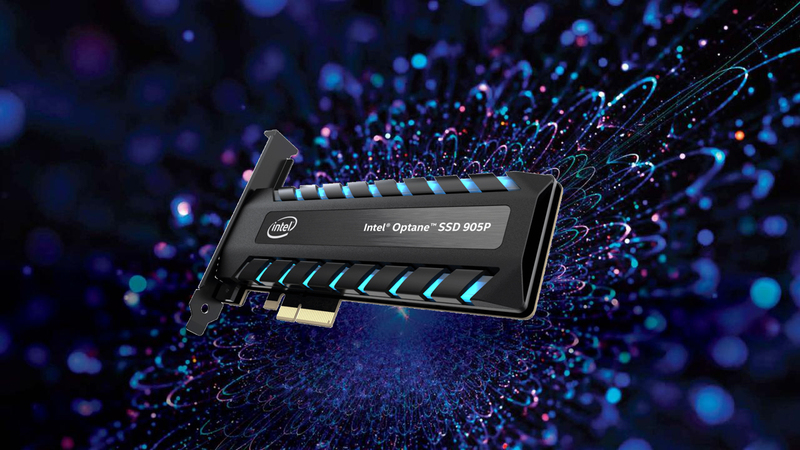 The Intel Optane SSD 905P introduces larger capacities allowing users to handle larger datasets to better extract the value of Intel Optane technology with workloads that place heavy demands on the storage I/O subsystem. IOMeter Test and System Configurations: Intel Core i7-6950X processor @ 3.00GHz, ASUS X99 motherboard, NVIDIA GeForce GTX1080, Chipset: Intel INF 10.0.20.0, Memory: 64GB (4X16GB) DDR4-2400, Microsoft Windows 10 Enterprise 64-bit, using Intel NVMe driver 2.0.0.1024. Test done by Intel at Intel Labs. Highest endurance as shown in Tom’s Hardware comparison of best SSDs in industry, as of Jan 19, 2018. Pros: Fast, works as expected. Runs on ASUS X99 motherboard. No issues with cloning Windows 7 to this drive. Also using it for VMs and programming. Other Thoughts: Buy it if you have high end system. Will buy one more if price goes down. Other Thoughts: Had the 900p but this definitely beats it in terms of performance. Looks cool in my rig too!